Vietnamese made wartime, unworn, original. The 191st Aviation Company activated on 18 November 1966 at Fort Bragg, NC and deployed to Vietnama 24 May 1967. 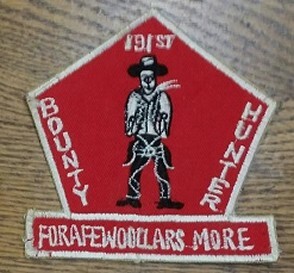 Stationed at Firebase Bearcat, their "Slicks" became known as the "Boomerangs" and their “Gunships” as the "Bounty Hunters"”. 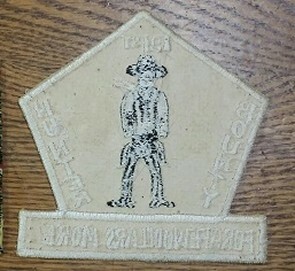 Assigned to the 1st Aviation Brigade’s 214th Combat Aviation, the Boomerangs and Bounty Hunters were dedicated to the 9th Infantry Division until the 9th departed in 1969. The 191st then supported ARVN Units in the Delta Regions of III Corps until standing-down in September 1971.